When I was a kid and didn’t understand idioms or figurative language, I thought that elephants literally stood in the middle of rooms where people missed obvious things. Over the years, and a couple of degrees in English, I figured out figurative language and now I’m here to tell you that any conversation about the 2018 Red Sox must first address said elephant. Needless to say, this baseball season has been an historic one for the franchise. The team seems destined to break the regular season win record set by the 1912 club during the inaugural season of Fenway Park. The 2018 Red Sox have also fielded the two players on top of the MVP voting discussion. Mookie Betts—who would get my vote because I believe an MVP must play the field—has transformed into a bonafide superstar, a player who President of Baseball Operations Dave Dombrowski foolishly failed to sign to a long-term contract last off-season. Then there’s JD Martinez, who is sniffing at a triple-crown. It’s tough to believe that there were cynical bastards last off-season crapping on the guy, claiming the slugger was a foolish signing, a primadonna unworthy of a contract. What a bunch of dopes. And how about the starting pitching? Using the eyeball-test, it seems Chris Sales has been protected in bubble-wrap for the past month, saving him for the postseason. And David Price (and his dog, Astro) have seemed to come, finally, as advertised lately. Yet there’s still the ubiquitous question mark, given his postseason history. But, agreed, there’s little not to like about this gritty and gutsy team barreling into the October brackets. Until you pause and notice there’s three-ton gray, corpulent animal with a trunk, eating peanuts and dropping truckloads of dung in the room. Yes, it’s the elephant. And that elephant’s name is The Bullpen. Listen, I am not a statistician. I am not an expert or an insider or even an informed voice. 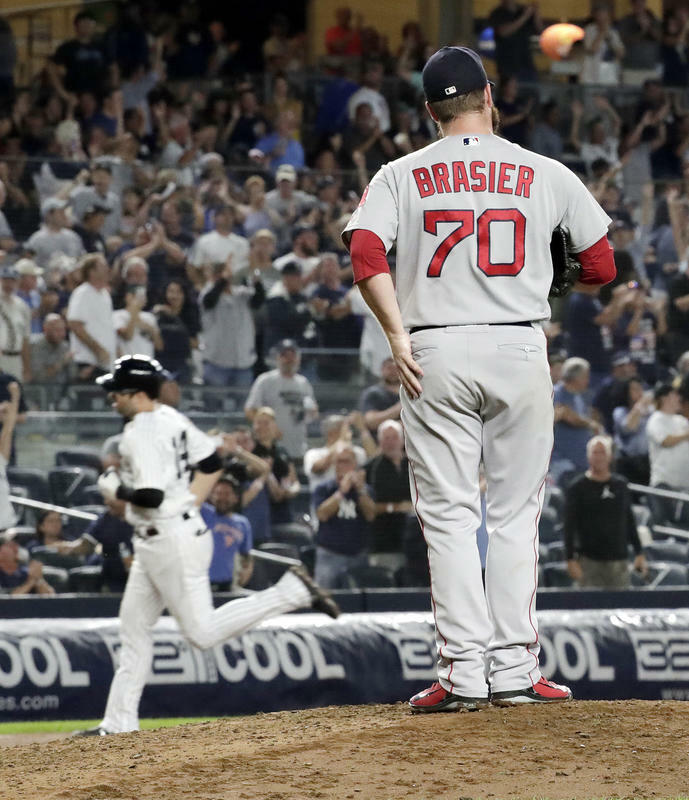 But even a guy like me can tell you that the Red Sox bullpen—in a postseason setting—is a veritable powder keg. In all seriousness, I’d rather drop my 14 year-old daughter off for a field trip in Aleppo than see Joe Kelly come into a postseason game with the Red Sox clinging to a 2-1 lead. And the blame for The Bullpen lies solidly on Dave Dombrowski, who failed to pull the string on a deal securing a solid reliever by the trading deadline. Maybe it was the fact that Dombrowski sold the farm to secure late-inning talents like Carson Smith and Tyler Thornburg, who have amounted to something, figuratively, stuck to your shoe. So there it is: The Elephant in the Room. The idiom. The truth is that no matter how many regular season games this team wins, with the NESN celebrations and Guerin Austin drenched in Gatorade, there will be no duck boats without a bullpen. If the Red Sox are going to win, they need to address the elephant. Time is ticking.